Some people really thought that after three games and hundreds of hours of gameplay, they were entitled to a happy (or at least non-nihilistic) ending. Others didn't need a happy ending, they just wanted the main character (and maybe their love interest) to survive. Other people didn't care about Shepard, they just wanted to know how things turned out for the rest of the galaxy after making all those supposedly important choices. Everybody wanted something different and almost nobody got what they wanted, so we have this huge angry crowd all asking for different things. You defend Mass Effect 1 because it's the first and only game in years to offer a very specialized flavor of sci-fi, and someone else denounces it because they found the gameplay insufferable. You complain about the shift in tone, but most people didn't notice the shift because they skipped the first game, or they didn't really notice or care about the distinction. You try to untangle the ending, but that depends on DLC that other people may not have played or conversations with characters that didn't exist in their game. So that's why this argument has such legs. It's not just one argument, it's a dozen different arguments, with multiple sides, all circling around and feeding into each other. It's a giant fractal ouroboros debate where every side-topic is a tributary to another argument. There's no solving this. 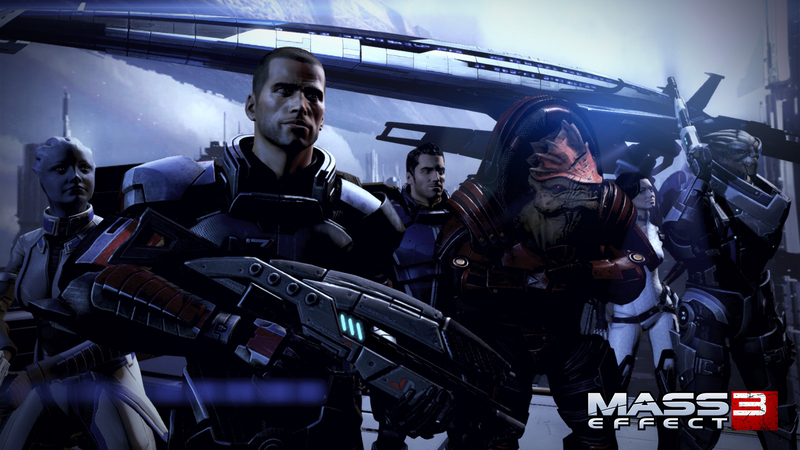 The Mass Effect 3 discussion is going to be with us for a long time. In fact, it probably won't go away until someone steps in and tries to tell the kind of story Mass Effect 1 was aiming for. I wonder what Drew Karpyshyn is doing these days?